The world's longest-reigning monarch, King Bhumibol Adulyadej of Thailand, has died aged 88, the palace has confirmed. 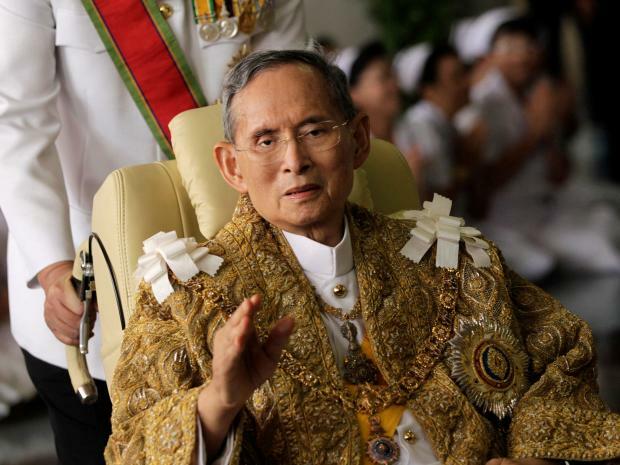 The palace said the King passed away peacefully on Thursday at Bangkok's Siriraj Hospital after a 70-year reign. Bhumibol Adulyadej became king in 1946 and was revered in Thailand as a demigod. He anchored the Southeast Asian country through violent upheavals at home and communist revolutions next door, as well as a period of rapid development. Parliament is due to meet in a special session later on Thursday after a meeting of the cabinet. King Bhumibol's son and heir apparent, the 63-year old Crown Prince Maha Vajiralongkorn, is set to become Thailand's new king. Anxiety about the King's health and the succession has formed the backdrop to over a decade of political upheaval in Thailand that has included two coups. King Bhumibol was seen as a force for unity - particularly given the length of time he sat on the throne - and there have long been concerns that without him the country's divisions could worsen. That appears unlikely under the military government of Prime Minister Prayuth Chan-ocha, who has kept a tight grip on power since toppling an elected government in 2014. That followed a previous army-staged coup in 2006. King Bhumibol was viewed by many in the majority Buddhist nation as a bodhisattva, or holy being who delays entering nirvana to aid the human race, with junta leaders and Prime Ministers all showing due deference. Hundreds of tearful Thais have journeyed to the hospital since King Bhumibol's deteriorating health was first announced by the palace on Sunday. Wearing pink and yellow shirts in the King's honour, many in the crowd have sat in the hospital courtyard, positioned to look up toward the building where the King has been confined. Every now and they shout “Long live the king,” with some wiping away tears. Many more broke into tears after the King's death was announced. “I feel so saddened by this news. He has given so many things to the country,” Apinut Jaroonpipatkul, a 25-year-old medical student told Reuters. King Bhumibol also garnered respect from around the world, with the US seeing him as a crucial ally as communist revolutions erupted around the region. 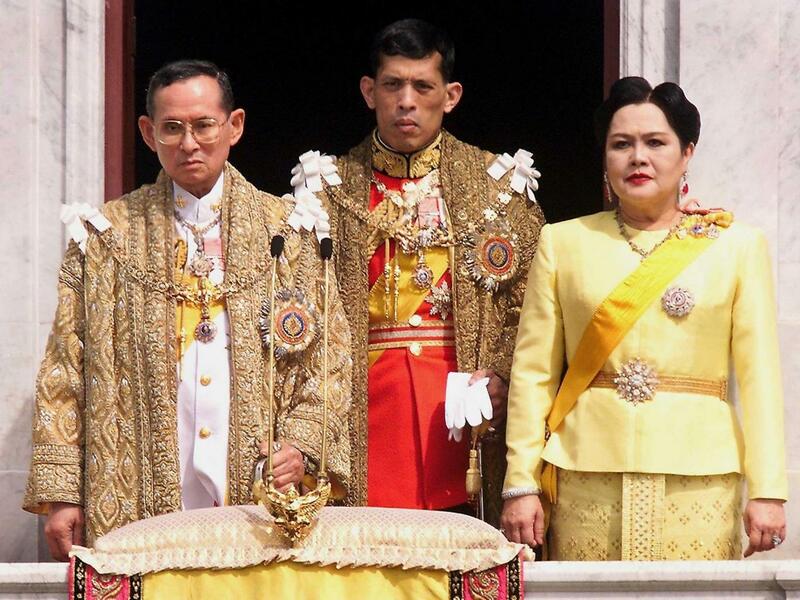 Prime Minister Prayuth has said that Crown Prince Maha Vajiralongkorn will become the new monarch after the death of his father in accordance with the constitution. He said the crown prince was designated the successor to the crown on Dec. 28, 2002. “We the government must proceed with the next steps in accordance with the law,” he said. He said the government will notify the National Legislative Assembly, or parliament, of the King's successor, and they will act accordingly with the laws of succession in the constitution. But Prince Vajiralongkorn has yet to command the respect and adoration that his father drew after a lifetime on the throne. Mr Prayuth said that the government will observe one year of mourning and flags will fly at half-staff for 30 days. No government events will be held for 30 days, he said. The Prince's coronation will not take place until a mourning period is over. When the King's sister died in 2008, a 100-day mourning period was declared. She was cremated 10 months after her death.